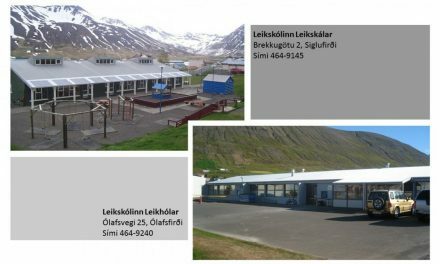 Ríkislögreglustjóri hefur í samráði við Lögreglustjórann á Norðurlandi eystra lýst yfir óvissustigi almannavarna vegna jarðskjálftahrinu í Öxarfirði. Laugardaginn 23. mars s.l. hófst öflug skjálftahrina í Öxarfirði um 6 km suðvestur af Kópaskeri. Frá því að hrinan hófst hafa mælst 8 skjálftar af stærð 3 og yfir. Stærsti skjálfti hrinunnar mældist í gærkvöldi 27. mars, af stærð 4,2 kl. 20:29. 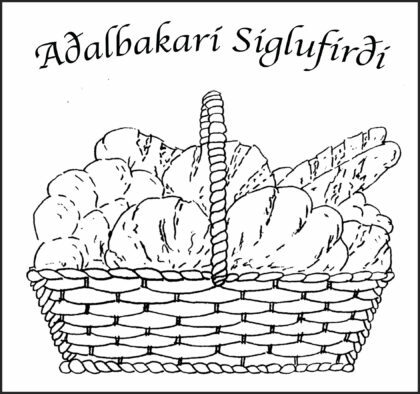 Fjöldi skjálfta í hrinunni frá sjálfvirkum mælingum er a.m.k. 1800 skjálftar frá því hún hófst. Nú í morgun, 28. mars kl. 05:48 mældist skjálfti 3,8 að stærð, annar skjálfti var í dag kl. 12:37 af stærð 3,0. Ekki hefur dregið úr skjálftavirkninni það sem af er liðið degi. Fjöldi misgengja er á þessu svæði og ómögulegt er að segja hvaða áhrif þessi jarðskjálftahrina muni hafa. Hrinan er öflugri og er nær byggð en nýlegar hrinur. Þekkt er að svona hrinum geti fylgt stærri jarðskjálftar sem hafa áhrif í byggð. Jarðskjálftahrinum lýkur þó í flestum tilfellum án stærri atburða. Veðurstofunni hafa borist tilkynningar frá íbúum á Kópaskeri og í Kelduhverfi sem hafa fundið stærstu skjálftana. Það er því ástæða til þess að íbúar hugi að innanstokksmunum og geri aðrar viðeigandi ráðstafanir. 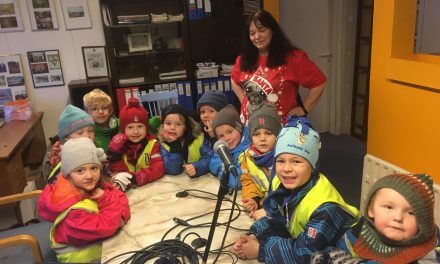 Óvissustig almannavarna þýðir að aukið eftirlit er haft með atburðarás sem á síðari stigum gæti leitt til þess að heilsu og öryggi fólks, umhverfis eða byggðar verði ógnað. 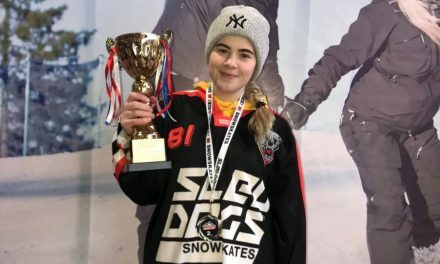 Að lýsa yfir óvissustigi er hluti af verkferlum í skipulagi almannavarna til að tryggja formleg samskipti og upplýsingagjöf á milli viðbragðsaðila og almennings. 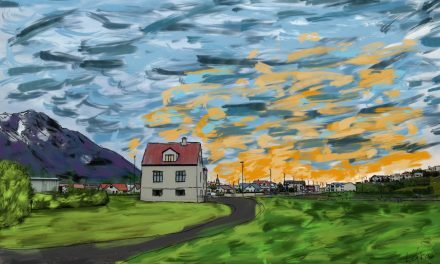 The National Commissioner of Police has, in consultation with the Chief of Police in the northeastern part of Iceland, has declared uncertainty phase due to the earthquake swarm in Öxarfjörður. The earthquake swarm in Öxarfjordur is ongoing, about 6 km SW of the town of Kópasker. The swarm began last Saturday 23 of March. Eight earthquakes of magnitude 3 or higher have been measured, the largest of which measured M4.2 yesterday evening at 20:29. Today, 28. of March at 05:48 an earthquake of M3.8 was detected, another one M3.0 was measured at 12:37. The swarm activity has not subsided during the day and is still ongoing. This is a known earthquake area and activity like this is well known. Larger earthquakes can occur but in most cases, the activity goes down without major event. 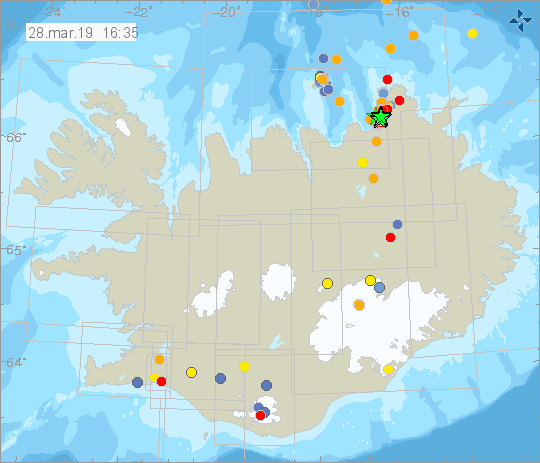 The Icelandic Meteorological Office has received reports from residents of Kópasker and in Kelduhverfi who have felt the largest earthquakes.  Declaring uncertainty phase means increased monitoring of scenarios that could later threaten health and safety of people, the environment or populated areas. Declaring a level of uncertainty is part of the civil protection system’s procedures to ensure formal communication and information sharing between the respondents and the public.